Studio time ain’t cheap. But it’s a necessary investment for every musician who wants to take their career to the next level. Before going into the studio, it’s always a good idea to come prepared and with a plan in mind to make the most of your time and money. We spoke with Josh Wilbur, a Detroit-based glitch-funk artist known as Funk-A, who gave us some helpful tips and tricks to help you make the most of your studio time. Not every studio will be right for you. Don’t make a decision based off price alone; research what genres of music a potential studio works with most often. An environment that was created for recording classical music likely won’t be a good choice for you if you’re a hip hop artist. Bring examples of songs you like so you can explain the elements of what you’re going for to the in-house engineer. Stay organized and create attainable goals. Organization is everything. We repeat: organization is everything. “Staying organized helps so much with your workflow,” says Funk-A. Before going into the studio, make a plan on the different projects that you want to work on and possibly even a time schedule if you really need to crank out work. Creating pre-production assets, such as arrangements, melodies and instrumentation, can be extremely helpful, too. Coming to the studio prepared and with a plan will keep you on track and ensure you make the most of each minute. We’ve all heard that ‘practice makes perfect,’ right? Well, perfection is a high bar to set but oftentimes the most magical creations come from producing and persisting through imperfections. Don’t get discouraged if you don’t love what you came up with at the end of the day. Masterpieces are not made overnight and you shouldn’t set unreasonable expectations. Slow down your tempo and pay attention to each beat and rhythm in your work. Remember that the more polished your song is going into the studio, the better chance you have of leaving with a product you like, so come prepared with arrangements, melodies, key, etc. already written out. Take pride in putting forth your best effort every time you go into the studio and keep revisiting your work if you are unhappy with it. Over time, you’ll find how you work best and will get better every time you hit the studio. Put your damn phone away. It is no surprise that we are currently living in a technology-driven era. It’s all too easy for us to become easily distracted by different messages, notifications, texts and reminders we receive, but there is a time and place for everything. When it comes to studio time, unplug from social media. Meaning: actually put your phone away. If you are passionate about making music then you have to give yourself the time and space to dedicate yourself to your craft. Focusing on what is important and limiting your distractions in the studio will allow you to hone in on what really works and expand your talents. Leave mastering to the masters. Mastering is another element you don’t want to skimp on. It can seriously make or break your final product. 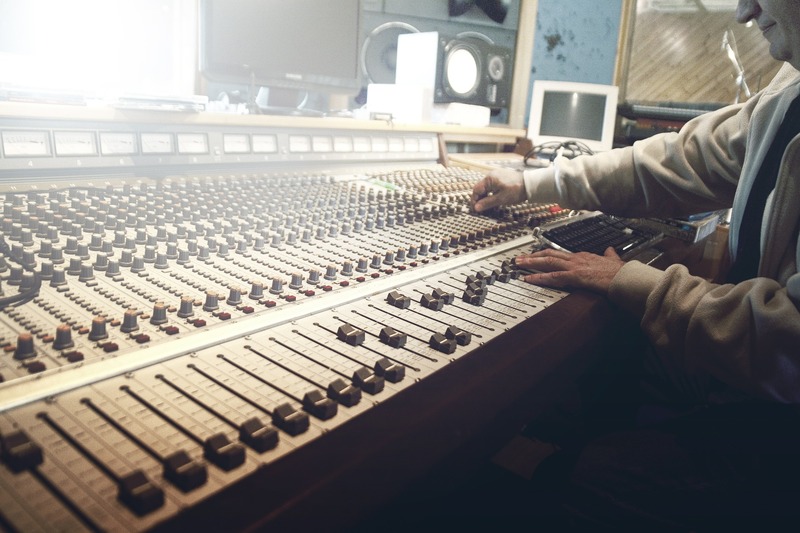 Focus on recording and even mixing in the studio, but don’t worry about mastering while you’re there as well. This will leave you more time to accomplish your goals and you can ensure you find the perfect person to master your final product. Use energy and emotions to your advantage. We are only humans, so it’s only natural to be emotionally overwhelmed from time to time. Rather than fight these feelings, channel them into your music. Doing so will help infuse passion and emotion into your work. Music is a very expressive medium so use it to your advantage! Pour your heart and soul into your work no matter what you are feeling. Incorporate those emotions and energy into your music and you just might be surprised with the results. Above all else – don’t forget that you’re doing what you’re doing because you love it. Be patient. Pay attention to what works and what doesn’t work. Be open to new ideas, try new things and let yourself make mistakes!